The Oakland Press Blogs: Open Book: A Sports Blog: Morris finally starting to get his due in Hall of Fame voting - what about Tram? Morris finally starting to get his due in Hall of Fame voting - what about Tram? 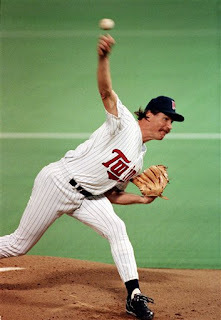 It has long seemed preposterous Jack Morris, who won more games than any pitcher during the 1980s, is not in baseball's Hall of Fame. Every decade prior to that, the pitcher who won the most games, is in the Hall. Morris' ERA should not be the issue many people are making of it because he pitched in the era of extensive steroid use, and subsequently huge offensive numbers. It was only only slightly better than the ERA of the time period he pitched, but that was the case with many Hall of Fame pitchers. So Morris is up to 66-something percent of the vote, and it takes being named on 75 percent of the ballots to get in. That's momentum toward getting voted in by the writers, which would be his just due. He has two years left on the ballot. Another thing: I haven't heard enough about Morris' postseason accomplishments. Not only did he win 254 regular season games and have excellent numbers across the board, but he had two complete-game victories for the Tigers in the 1984 World Series. And his 10-inning, 1-0 shutout for the Twins in 1991 in Game 7 of the World Series was perhaps the greatest clutch pitching performance of all-time. As for Alan Trammell. His continual lack of support is a joke. That especially true now that Barry Larkin got in. I had issue with Larkin in getting - I voted for him - but that Trammell was named on only 37 percent of the ballots is odd. How can Larkin be a second-year Hall of Fame inductee, while Trammell doesn't even get a sniff after a dozen years? It's splitting hairs comparing the two in every way. I wish you still covered the Tigers for Baseball America. That would be the perfect place to write an article on Trams behalf comparing him to Larkin and Ozzie. Clearly, there’s no specific criteria set forth by the BBWAA or the Hall of Fame that makes one eligible. Those qualified enough to hold that prestigious vote seem to be left relying on their own personal opinion in determining one's fate—deeming a player worthy. Should a body similar to that of the Veterans Committee, possibly made up of former players, baseball experts—to the likes of Bill James—and/or other living Hall of Fame members be established with rules and regulations for enshrinement? Couldn't you find a pic of Morris in a Tigers uniform? If he gets in, will he wear a Tiger hat or a Twins hat? I think Bill James and the sabermetricians have done enough damage, and shouldn't be allowed to pollute the process any further. They're the ones keeping Trammell and Morris out, if you ask me. They win certain minds over, with their statistical mindset, and lose in other ways so that less deserving players get in, but the upshot is that the process is twisted in several directions, and away from actual play on the field and impact on games, which both Morris and Trammel had. I know I'm going to get blasted by Tiger fans here - but I personally don't see Trammell as an HoF player - and you made some of the argument yourself - in that you had issue with Larkin getting in (you did vote for him though) and that you think Trammell and Larkin match up in every way. The Hall of Fame is supposed to be for the best of the best - not just the best - The best of an era. Okay - you can yell at me now. The HoF is not complete until Rose gets in. That will only hapen postumously I guess. poor dumb bugger. I kind of agree with you, anonymous above, that pure stats do not tell the whole story, but we need some criteria that is what I think Pat is saying. Actually we need the voters like Pat who were able to "see" the players' impact that were not in the stats along with some objective statistical criteria. Yeah, let's put Rose into the HoF. A guy that would sign his mother's casket for a couple bucks. The community of famers should be a group of players with character. At least I would want that if I were in. Screw Rose, he had a choice of being a player with ability and character. If you guys don't care about character, that's fine.